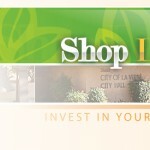 Why should you “Shop La Verne” whenever possible? 1. Sales Tax – When you spend your dollars in La Verne you help support an array of community services. For every dollar spent in a retail store, sales tax revenue comes back to the city to pay for police, fire, streets and other services that contribute to La Verne`s quality of life. 2. Multiplier Dollars – Every dollar spent on La Verne goods, products and services recycles through the local economy to generate further spending power. 3. Vote for Community – Your dollars spent in La Verne are more then an economic generator, they are the sign of support that lets La Verne merchants know you care about your community. This dividend is repaid by new merchandise, new marketing techniques and new retail outlets to meet your needs. 4. Community Organizations – La Verne`s merchants and service providers help support a host of community organizations including youth athletics, historic preservation and other worthwhile groups. Your shopping dollars spent in La Verne help support the community values that make La Verne special. 5. New Investment – An economically healthy community is an attractor of new investment that will continue to provide all the benefits listed above. Without this new investment, the economic base of a community stagnates. Become a VIP of Shop La Verne and get Rewarded! Receive special deals, coupons, and event information delivered directly to your email! By signing up you agree to be added to Shop La Verne's email list, as well as LocalLoyaltyReward's weekly update. We do not buy, sell, or trade our email lists.